There will be many times you won't feel motivated to do anything. Either you are bored by doing the same things everyday or you are dissatisfied with the progress you're making in life or you just don't know why. And it's very easy to enter that demotivated mode because too many things can trigger it. 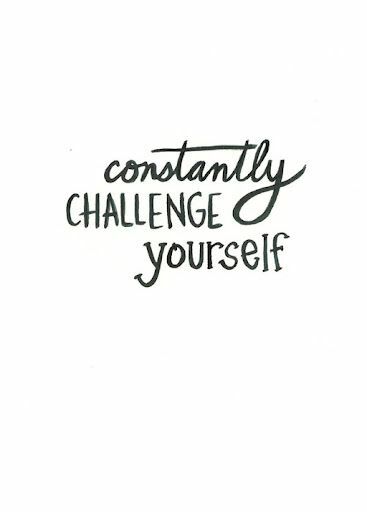 You have to constantly challenge yourself. Keep yourself busy towards something that matters to you whether you are motivated or not. How we feel are mere interpretations of what is happening to us and around us. Feelings don't amount to anything unless it moves you to act. And the worst types of feelings are the ones that make you want to do nothing. I know I have some unusual natural advantage in detoxifying my feelings. I am one of the few people who are not very emotional. I look emotional and talk emotional, but at my core is cold hard logic. Life is full of ironies. Still I have days I just feel like doing nothing, and sometimes for no identifiable reason. There are days I drag myself out of the bed, to do my daily work. In fact, there are days I don't want to do my daily writings. Maybe because I noticed people unsubscribe from getting my daily articles or I had passed across an incorrect information (like I did yesterday) or I feel I have been writing junks for the last six days or I feel I have taken this daily writing too far or I just don't know why. Still I write. Because creating something is always better than doing nothing. Today's crap might become tomorrow's raw material. Everyday, I motivate myself to get up and do everything I have committed myself to doing -- praying, reading a chapter of the bible daily, writing, working on my business and avoiding people. When I say avoiding people, I don't mean specific people. I mean avoiding events and activities that will bring me too personally close to (new) people. I have found out that I am less creative and less focused when I have too many discussions with people. Chit-chats have negative effects on me. And I am 100% willing to live with the consequences of my isolative lifestyle. One cannot (in fact, should not) have it all. Today, we have our monthly Excel and Business Data Analysis training class. Friday and Saturday. A few people are coming from outside Lagos. Surprisingly, despite facilitating training almost every week, I still feel nervous and have been praying that the training go very smooth. This post is again a selfish one, to challenge myself to rise up to the task and deliver a great training. Wish me luck!